In Buddhism we frequently come across the word "avijja". The word "avijja" is a corrupted form of the Sanskrit word "avidya". Avijja means lack of knowledge or ignorance. According to the Four Noble Truths, avijja or ignorance is the cause of dukha or suffering. Majjima Nikaya says, "Not knowing about dukkha (sorrow), not knowing about the origin of dukkha, not knowing about the cessation of dukkha, not knowing about the way leading to the cessation of dukkha - this is called ignorance. Through detachment, ignorance is overcome and when ignorance is overcome a monk gains true knowledge." "And how is there the yoke of ignorance? There is the case where a certain person does not discern, as it actually is present, the origination, the passing away, the allure, the drawbacks, & the escape from the six sense media. When he does not discern, as it actually is present, the origination, the passing away, the allure, the drawbacks, & the escape from the six sense media, then — with regard to ignorance concerning the six sense media — he is obsessed with not-knowing. This is the yoke of sensuality, the yoke of becoming, the yoke of views, & the yoke of ignorance." "And how is there unyoking from ignorance? There is the case where a certain person discerns, as it actually is present, the origination, the passing away, the allure, the drawbacks, & the escape from the six sense media. When he discerns, as it actually is present, the origination, the passing away, the allure, the drawbacks, and the escape from the six sense media, then — with regard to ignorance concerning the six sense media — he is not obsessed with not-knowing. This is unyoking from sensuality, unyoking from becoming, unyoking from views, & unyoking from ignorance." "Clear knowing is the leader in the attainment of skillful qualities, followed by conscience & concern. In a knowledgeable person, immersed in clear knowing, right view arises. In one of right view, right resolve arises. In one of right resolve, right speech... In one of right speech, right action... In one of right action, right livelihood... In one of right livelihood, right effort... In one of right effort, right mindfulness... In one of right mindfulness, right concentration arises." According to the early tenets of Buddhism, the root cause of ignorance must be first ascertained and dealt with, and this becomes possible only when we practice mindfulness and observe life closely to realize how we have become what we are in the first place and what we are becoming moment to moment through our thoughts and deeds. 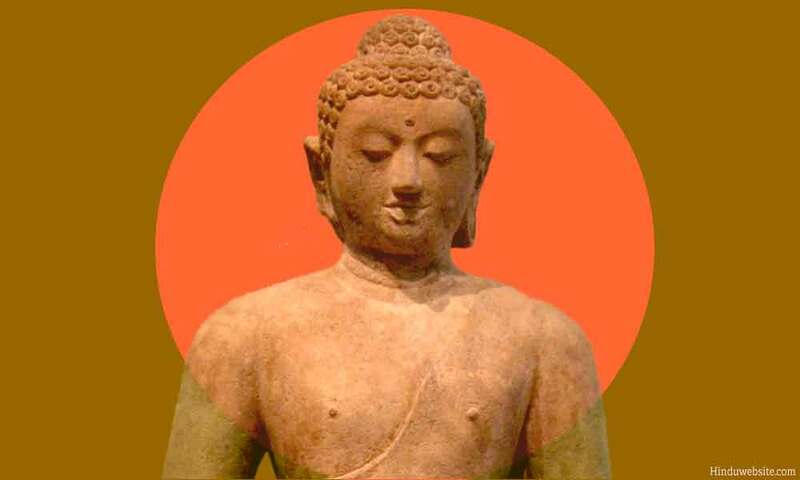 Buddhism does not believe in a creator God or in intelligent creation. It more or less views manifestation as a random process arising in a sea of ignorance due to the accidental aggregation of things and elements resulting in the formation of individualities that shape themselves into beings. According to Buddhism, the following 12 steps are called the twelve links in the development of life. They describe the process of how life comes into existence from a sea of ignorance and leads to suffering. 1. In the beginning the existence was blind. There was no knowledge. All of it was a great sea of ignorance. 2. In that great sea of ignorance there were some stirrings that were formative and organizing. 3. From these stirrings arose the awareness of feelings. 4. From the feelings arose organism that developed individuality. 5. These organisms developed the six fields, which are, the five senses and the mind. 6. The six fields developed contacts with things. 7. Contact with things resulted in the origin of sensations. 8. From the sensations arose the thirst of the individual being. 9. The thirst caused attachment to things. 10. Attachment led to creation and formation of selfhood. 11. Continuation of selfhood resulted in renewed births. 12. Renewed birth of the Self led to suffering, old age, suffering, sickness and death of being. Thus ignorance is at the root of the entire creation and origin of life and of all suffering. It is by removing this ignorance one can start reversing this process of suffering and continuation of the individuality, resulting in the liberation from suffering through attainment of Nirvana or the extinction of self.